SAS Welding Services recently finished a Custom Truck Fabrication job for a transport company. This was fitted with an SAS special slim fill. 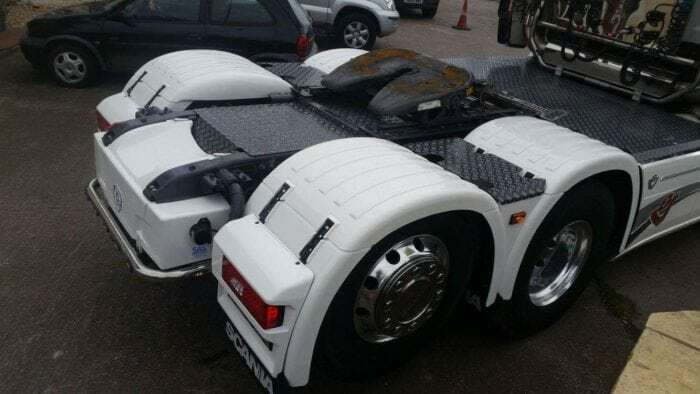 This is a custom Chassis Infill which covers from side skirt to side skirt, from the back of the cab right up to the 5th wheel. 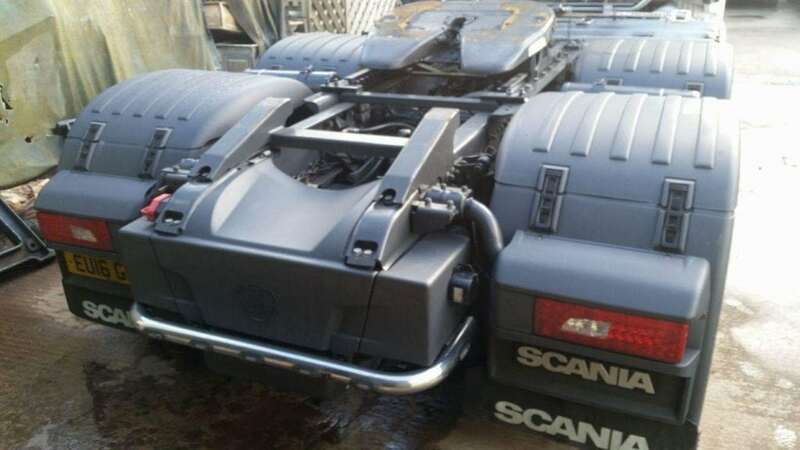 This stunning V8 had a Slim Fill, with Air tanks relocated, plastics and infills painted. The result was fantastic, with a very satisfied customer. SAS slim fills are made completely from aluminium. They look slick and are strong and built to last. These are not just for show lorries, but made to last and work. This is a custom Infill for between the two back wheels. 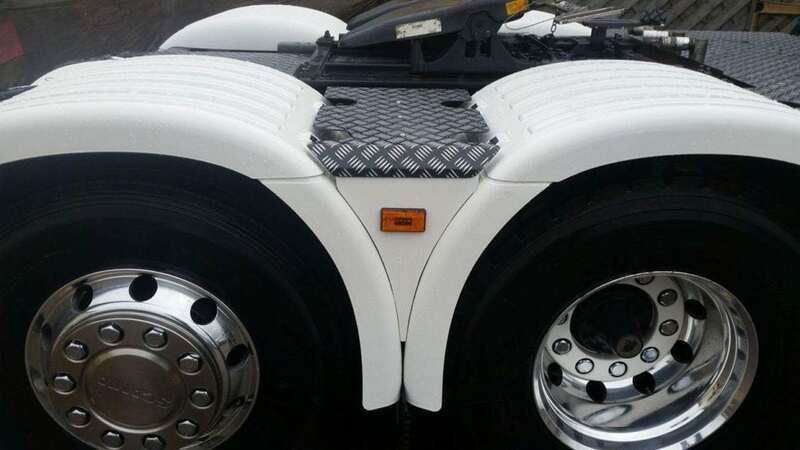 Our unique approach to chassis infills often gain praise from truck drivers who want there lorries to look extra special, with attention to detail. 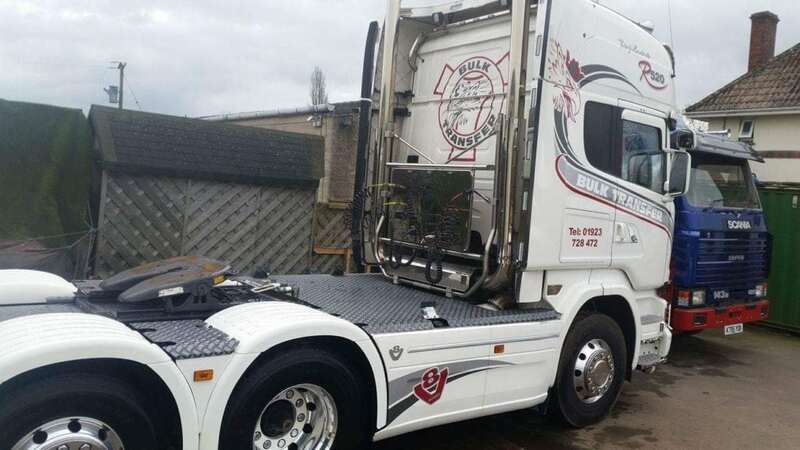 For custom truck fabrication in Somerset, SAS Welding Services is the place to come. 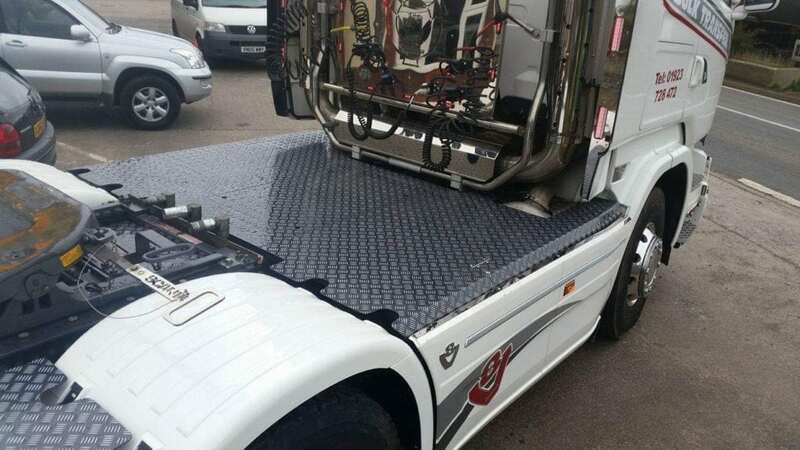 Contact us today to discuss your truck fabrication requirements.